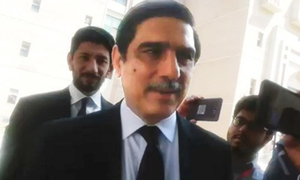 Accountability Judge Bashir had earlier recused himself from hearing the two pending corruption references. 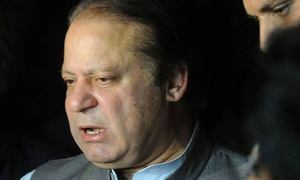 Petitioner challenges existence of National Accountability Ordinance, conviction of Sharif family under 'dead law'. 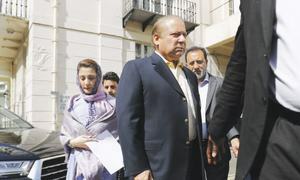 Petitioner argues that Nawaz and company were convicted under a "dead law"; hearing set for August 8. 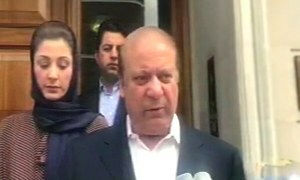 Defence counsel concludes arguments on transfer of Al-Azizia and Flagship references to another court. 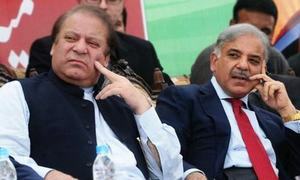 Senior puisne judge, Shaukat Aziz Siddiqui, has not been included in the division bench despite his availability. The decision to hold the trial inside prison has been correctly reversed. Justice Qureshi observes that legal points raised are important in nature and require to be heard by a larger bench. 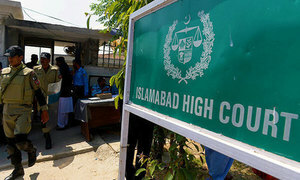 Petition before IHC seeks transfer of case to another accountability court. 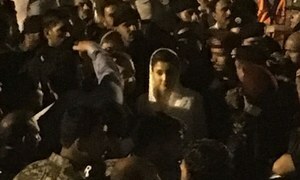 Thousands of PML-N supporters gather in Lahore to show support for ousted prime minister and his daughter. Maryam, Hussain say their mother opened her eyes for a few seconds. 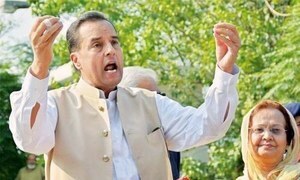 The former premier and his daughter are scheduled to arrive in Lahore on Friday. 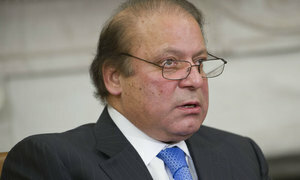 As a self-professed democrat, Nawaz Sharif should lead by example and submit to the courts as required. Farooq Tariq brands the accountability court's verdict a political decision. 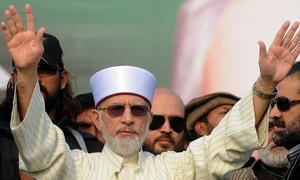 PAT, PPP, PTI, PML-Q leaders laud court for the decision. 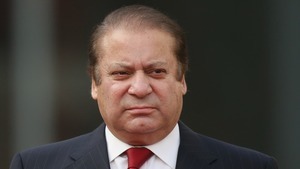 The former PM's son-in-law was present in Pakistan yet he was not taken into custody for unexplained reasons. 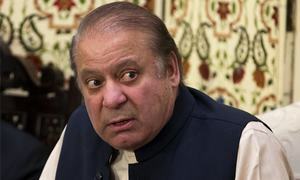 Ousted prime minister handed 10-year imprisonment by an accountability court in the Avenfield reference. 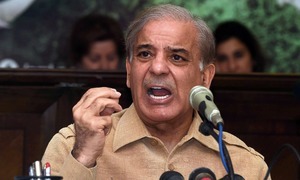 PML-N chairman says today will always be remembered as a "black day". 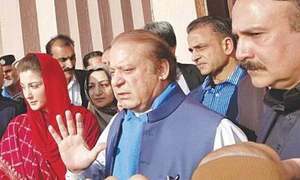 Plot twists, allegations, 25,000 pages of evidence — a snapshot of the case that resulted in Nawaz's disqualification. 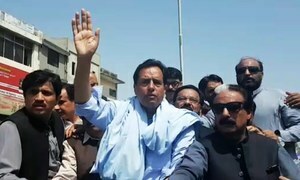 Capt Safdar given 1-year sentence; Nawaz, Maryam to pay £8m, £2m respectively. Court staff receives application against announcement of judgement — scheduled for tomorrow — in corruption reference. 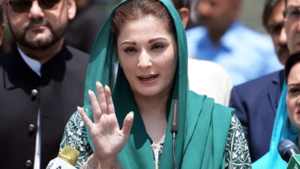 The defence counsel claims Wajid Zia's hiring of his cousin was a classic example of nepotism. 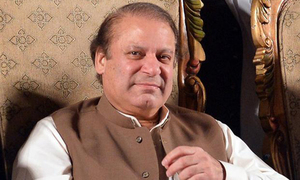 Accountability court told ex-PM’s name is not mentioned in evidence produced by prosecution. 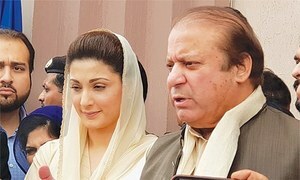 Sharif's lawyer says NAB didn't follow legal preconditions set by Supreme Court in shifting burden of proof on accused. 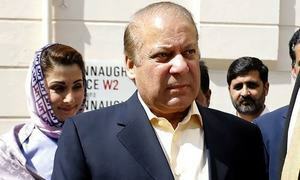 Court grants Nawaz one-week exemption from appearing in hearings; case to continue in his absence. 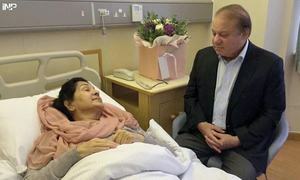 Kulsoom has a heart attack as Nawaz, Maryam arrive in London; shifted to ICU on ventilator. 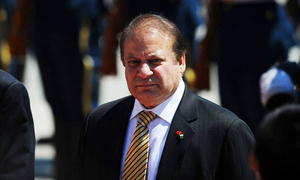 IS due process under threat or is justice being delayed?